The best part of hosting my radio show is answering caller questions. Not only is it satisfying to help educate people on the ins-and-outs of being an investor, but it’s also a great way to gain insight on where investors’ concerns lie regarding the economy, their portfolios and finances in general. Here are three of the questions I’ve heard most often over the past few months. QUESTION 1: What are the specifics on how to start an income investing strategy? My Answer: When I think about income investing, I think about percentage yields. Investing is a total return proposition – we want growth. Growth means a stock goes up in value, or a stock pays you, say, $1. How we allocate capital appreciation is hard to control because no one can predict the market. But in income investing, we put somewhat more predictable and consistent assets in our portfolio. For instance, there are some companies in the utility industry that have paid the same percentage as dividends for over 100 years. Of course, we want the stock side of our investments to grow. Here we could see a yield in the realm of 3%, for instance. On the bonds side (including real estate and pipeline companies that have 5 – 7 % annual yields), we could see yields closer to 5% total. So, we could have a portfolio cash flow of 8%. Not from buying, not from selling, but from the dividends and other income that produced by these assets. Over time, we also expect what we own to appreciate. This means that 8% is not the peak; we hope our income increases over time as our underlying assets grow in value. 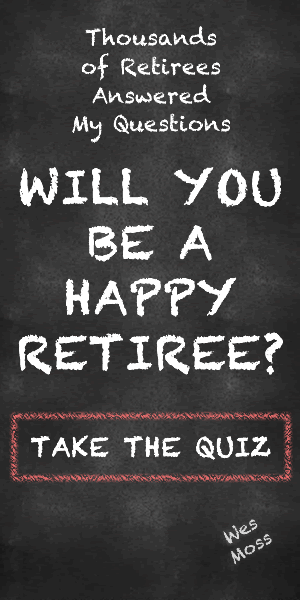 QUESTION 2: My employer has offered to start my pension early, with a $1000 a month benefit (and 50% spouse survival), or a lump sum of about $250,000. Which way is best to go? My Answer: With the lump sum, divide $250,000 by $12,000 (the yearly amount you would draw under the monthly benefit plan). Here, we get 4.8%. I typically recommend taking a monthly amount that is closer to 6%, so this isn’t a great deal. In this case, if it were me, I’d take the lump sum and invest it myself to try to gain a higher return. Plus, if something were to happen to me and my spouse started using the benefit, the monthly pension amount would reduce by half. But with the lump sum, the money is still there. Now, if it were $150,000, our percentage from the same calculation would be 8%, which is a much better deal. In this scenario, I would lean towards selecting the monthly amount. In this example, where you are on the continuum between $150,000 – $250,000 will guide your decision on lump sum versus monthly benefit pension payments. Just remember my 6% Rule. Question 3: What is a reasonable annual rate of return I can expect once I stop saving to keep my principal intact? My Answer: This is a seemingly simple question, but the answer has a few moving parts – reasonable rates of withdrawal, inflation and income investing. First, the conservative, agreed upon number in financial planning (after much industry debate) has been 4.1 – 4.2% for decades now. So, you can safely assume this rate of return for any given year. The second part is that we always need to take the Big I –inflation – into consideration, too. And finally, we should remember that we invest for total return, which is growth plus income. Let’s say you have $1 million socked away. You could reasonably expect to withdraw $40,000 per year from this nest egg without compromising the principal. Now, add in inflation, and let’s say it’s at 3%. This does not mean that you add 4.1% and 3% for inflation. It means that, for that year, you could probably safely withdraw around $41,000 to $45,000. Now, remember that your portfolio probably has a handful of different types of vehicles; maybe you have dividend-paying stocks, bonds, real estate investment trusts (REITs) and/or master limited partnerships (MLPs). Say the portfolio averages 3%, just in income. Of course, you can’t really control the rate of growth, because we don’t know how any given year will fare. But with income, that’s a paycheck that comes straight to you. Here, the income piece of the equation is modest, but it’s not negligible by any means. Over time, we could think of the total number (growth and income) at about 5%, not including inflation. But starting out, you’d want to withdraw at 3% or 3.5% range. As time goes on, you can increase closer to the 5% number and probably preserve your principal, and your peace of mind. Have other questions? Join me Sundays on WSB from 9 – 11 am and let’s talk them through. Check Out: How Do We Know When A Stock Market Correction Will Turn Into A Bear Market? This information is provided to you as a resource for educational purposes only and should not be considered investment advice or recommendation or an endorsement of any particular security. Investing involves risk, including the possible loss of principal. There is no guarantee offered that investment return, yield, or performance will be achieved. There will be periods of performance fluctuations, including periods of negative returns. Past performance is not indicative of future results when considering any investment vehicle. The mention of any specific security should not be inferred as having been successful or responsible for any client achieving their investment goals. Additionally, the mention of any specific security is not to infer investment success of the security or of any portfolio. Past performance is not indicative of future results. A reader may request a list of all recommendations made by Capital Investment Advisors within the immediately preceding period of one year upon written request to Capital Investment Advisors. It is not known whether any client holding the mentioned securities have achieved their investment goals or experienced appreciation of their portfolio. This information is being presented without consideration of the investment objectives, risk tolerance, or financial circumstances of any specific investor and might not be suitable for all investors. This information is not intended to, and should not, form a primary basis for any investment decision that you may make. Always consult your own legal, tax, or investment advisor before making any investment/tax/estate/financial planning considerations or decisions.